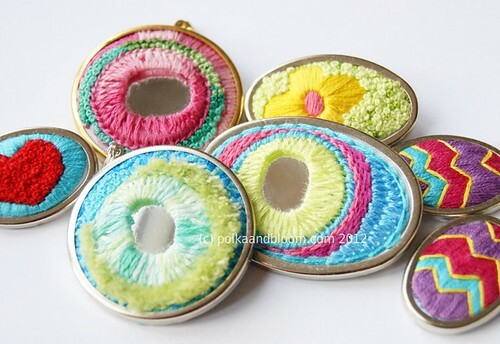 polka & bloom: Embroidered jewellery + a sale! Embroidered jewellery + a sale! A few bits of news to share! I have made a collection of embroidered jewellery which is in the shop now. There are brooches, pendants and even a pair of earrings. All lovingly handstitched by yours truly. :-) There is only one of each. Check 'em out here. The 2013 calendar panels are almost all gone - and I will not be ordering more, so if you want one, now's the time to strike! :-) Eep! The calendars have completely sold out now. Thank you very much! 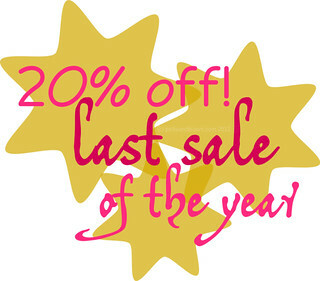 I'm having a sale in the shop, running from now until Friday, December 7th. 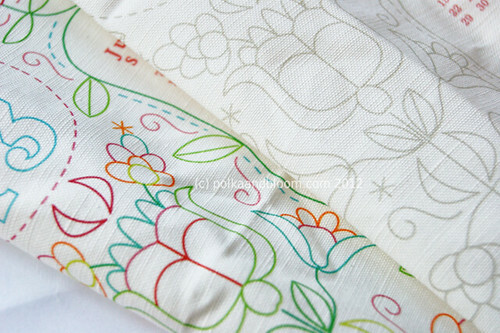 Use code STITCHMAS to save 20% off embroidery patterns (including pattern sets! ), embroidery ebooks and the embroidered jewellery.